About: Agnes Joseph pride themselves on inspirational design, precision installation and outstanding quality on Kitchens, Bedrooms and Bathrooms. About: If you want the opportunity to significantly improve your quality of life, no matter what your present circumstances, then join the School of Reiki training programme. About: Our services include kitchens, flooring, bathrooms, roofing, conversions, extensions. Established 25 years ago and we guarantee 1st class quality workmanship with competitive prices. About: Animal Magic is a Pet Shop in the heart of Stewarton which offers a wide range of products including, wormers, treatments, beds, bowls, leads, collars, grooming products, wild bird feeders, hay, sawdust, seeds, foods, accessories etc. About: Annick Art, a family owned and run business, opened in Stewarton in June 2009 and have since established a reputation for supplying high quality arts and craft materials and providing an excellent framing service for all types of artwork. About: Annick Roofing has what you need for all your roofing needs including slating, tiling, lead work, lead welding, PVC fascias and gutters, Supply and fitting of velux windows, rough casting and plastering. About: Armoire created by Sandra Fleming Designs - the interior of this gorgeous store is designed to look and feel like a sumptuous French themed salon. Armoire have an amazing selection of accessories, including handbags and jewelry to make your outfit really individual to you. About: Recycle your old kitchen appliances. free uplift and disconnections available. About: With over 25 years experience, we are the drainage specalists in Ayrshire. Call us for all your blocked drains, drain clearing, drainage issues, drain repair or cistern faults. About: Ba Properties are a property maintenance company offering a large selection of services. About: A full range of treatments is offered, so phone now or pop in to make a booking. A warm welcome awaits you! About: Commercial and Private Custom Printing. About: Bespoke Furniture - Established in 2004, we specialise in the design and manufacture of hand-made furniture. Using traditional high quality materials and craftsmanship, you can be assured of results that will stand out. About: With over 9 years teaching experience, BGM Rhythms offers one to one drum lessons available to people of all ages and levels. About: Billy Bowie Skip Hire has over 20 years experience in solid and liquid waste management operating a modern 100 strong UK wide fleet. About: Blair garage offers mot testing for cars, vans & motorcycles, we also do servicing on all makes of vehicles to manufacturers specification. About: We have been doing hair dressing for 10 years and we are also offering acrylic and bio sculpture nails, manicure and pedicure as well as spray tans. About: Bloomingwales look to inspire and be inspired by their clients. From individual bouquets of hand selected flowers to full event floral decorations. About: Bogside Kennels offer a service for your dogs when you are away. About: Bonellie Opticians are specialists in eye care and eye health. At a routine examination we can detect a variety of health conditions directly and indirectly related to your vision. About: Borland's Delicatessen is situated in the heart of Stewarton on the corner of Vennel Street and Main Street. The Deli has proved to be a hit with its customers from day one and prides itself in sourcing as many local suppliers as possible. About: Faulty appliance? Don't despair. For personal repair call: 01560 484601. About: Brown Street Barbers are a hairdressers located in Stewarton's Brown Street. About: Come in for a trim and sample the banter. Always good. About: Colour cover garden Services offer garden maintenance to be carried out including grass cutting, edging, planting, Weeding, weed control fabric. About: Colvins Bodyshop provide a comprehensive service with stunning results using state of the art equipment. About: We sell genuine designer handbags from the best brands including Nica, Fiorelli, Marla, Mischa Barton and many more. Our stock changes on a weekly basis and if you are unable to find an item you are looking for, do not hesitate to contact us as we may have it in our shop. About: Dickson Joinery is a small local business that aims to offer a personal, efficient service at reasonable prices. Specialising in kitchens and wet wall bathrooms; undertaking all aspects of joinery, UPVC windows and doors. About: Dickson School Of Motoring offers intensive driving lessons with reduced rates for students and unemployed. About: Fast Fix Stewarton have been trading in the town since 2010. We are an independently owned business with helpful and friendly staff ready to assist you. We always aim to provide the highest possible level of service and guarantee high standards of work. About: Fiona Hutchison Barr Jewellery offer handmade jewellery including rings, bracelets, watches, necklaces etc. About: First Independent Finance is an asset finance company that specialises in the provision of finance to the business community throughout the UK. About: We do central heating power flushing and general plumbing. About: From supplying commercial and business premises, to exclusive prints and original paintings from both local and world-renowned artists we can supply all your needs from our spacious Gallery and workshop near Kilmarnock town centre. About: At George Brown's Garage our Professional and honest mechanics offer a friendly personal service guaranteed. About: Gordon McPhail Professional Carpet & Vinyl fitting service offer planning to completion with all product fitting including - tartan, plaid, stripes, borderwork, both traditional and contemporary. All matched and fitted to a high standard to your own specifications. About: GWL Cars provides a professional private taxi service throughout the Stewarton, Kilmarnock and Glasgow areas - and beyond. About: Covering all aspects of professional hairdressing from Matrix & Wella colour services, creative cutting and styling, formal hair up's for any special occasion to transform your look using superior quality keratin bonded human hair extensions. About: Hart & Sole Shoe Repairs specialise in repairing shoes, key cutting, watch repairing and battery replacements, remove links from watches and much more. About: Headquarters is a friendly, modern salon in the heart of Stewarton offering quality hairdressing at an affordable price. About: Home Front construction offers conservatories and extensions. About: Ikonic Print are your professional local supplier for garment printing, personalised gifts, banners & signs, balloon printing & decorating. About: J Raeside Joiners offer purpose-made joinery including doors, window repairs, alterations, fitted kitchens, extensions, roofing and much more. About: Joan Scott Hairdressing has years of expierience in hair cutting, dyeing and styling in a friendly local salon. About: John Burns and Son have four generations of knowledge & experience that has resulted in this family ran business having won awards for their bedding plants & hanging baskets. About: Established in 1997 Kick is a friendly, modern salon in the heart of Stewarton offering quality hairdressing at an affordable price. About: Margaret Campbell and her team provide an excellent wrap around care service for the pupils of working parents. To use only the freshest, highest quality ingredients for you to enjoy in a relaxed and comfortable environment. About: Limetree are constantly sourcing new products from great suppliers they have gorgeous Home Interiors & Gifts as well as the most beautiful French Handmade furniture. Come and have a look at our Online store and take advantage of the great deals on only the best quality products. We thoroughly test all products before we stock them so you can be assured that when you shop with Limetree you are getting the very best product for your money. About: Lugtonridge Caravan Storage was established in 1999, initially to provide caravan storage for Halleys Caravans Ltd of Burnhouse. The business has grown ever since and we now provide storage for over 250 customers. About: M Traynor & Sons provide garden landscaping and groundwork services to domestic and commercial customers in Kilmarnock, Ayrshire, and the surrounding areas. All work is fully guaranteed, for your added reassurance. About: If you require vehicle recovery in Ayrshire then make your first and only call to M. Torrance Recovery. With over 15 years of experience we employ time-served professionals and have built up a reputation as one of the best in our field. About: M&M Electrical offer Security Automation, Automatic Gates & Garage Doors, Wireless Alarm Systems, CCTV and Garden Power & Lights. About: MacFarlane Heating Services is proud to announce we are approved installers for the government’s Green Deal scheme. The Green Deal is essentially a very cheap loan scheme to pay for energy-saving measures which will make the UK more energy-efficient. About: Mackintosh & Wylie is one of the leading firms of solicitors in Ayrshire. They have an established track record of providing excellence in the delivery of legal services. About: Come and visit the newly refurbished bar & restaurant formerly the Village Inn in Dunlop. Now a family run business serving fresh local produce at reasonable prices seven days a week. A family friendly environment for all, bring the kids and let them sample the children’s menu. About: Stop at Normans for your morning rolls, sweets and snacks, hot or cold snacks available. If you're passing through Dunlop then this is the place to stop. About: We are a professional and skilled team with many years’ experience. We cover the whole of Ayrshire, Renfrewshire, Inverclyde, Glasgow and the West of Scotland. We pride ourselves on our quality of workmanship, reliability and most of all customer satisfaction. About: P. Alton Plumbing carry out all plumbing work. Washing machines, showers, outside taps and much more. We offer a 24 hour emergency call out service. About: Physioflexx based in Stewarton Ayrshire is a private physiotherapy offering a tailored service to meet your indvidual requirements. About: Pioli Decorators are quality painter, decorator and plasterer's who specialise in all aspects of work & insurance jobs with free estimates. About: Pioli's are a traditional Fish & Chip shop located in the heart of Stewarton. We specialise in supplying the ultimate Tyres and Accessories for your quad bike. About: R Dullick & Son Decorators and Property Maintenance has a large selection of Kitchens and bathrooms. We specialise in roofline and gutters, fitting saniflo, laminated and hardwood flooring, signs, interior and exterior work all carried out. About: We have created a client focused company providing the highest levels of service and commitment producing high quality renewable and efficient energy products. About: We work closely with other local contractors to provide a complete service when fitting kitchens, bathrooms or carrying out house refurbishments. About: Robert Miller & Sons Established in 1879 have great experience in plumbing installations and repairs. We also install oil, gas & LPG central heating. About: Slaters and flat roofing contractors. We specialise in PVC soffits and fascias. About: Safeguard Security Systems is a family run business focusing on quality products and installations at competitive prices. We pride ourselves on prompt personal attention and friendly efficient customer service. About: Moving is a busy and exciting time and we're here to make sure the experience goes as smoothly as possible by giving you all the help you need under one roof. About: Sharpe Exterior Painting was formed in 2008 and runs from March to October. Proprietor Chris Sharpe specialises in painting decking, fencing, garages, sheds, summer houses, trellises and benches. About: Sinforiani Bros based in Kilmarnock Ayrshire offer a selection of 350 unique Malt Whiskey's and an extensive range of miniatures (spirits and liquers) and wine and beers. About: SJA Facial Aesthetics are experts on facial care and offer a wide range of treatments including wrinkle reducing injections and dermal fillers. About: SOD-IT - FIX MY COMPUTER / repairs & supply / website development / graphic design / server installations / search engine optimisation / website statistics and reports. About: Sovereign Blinds are a family run business with over 41 years experience in the blind industry. About: Specially For You offers beauty treatments and gifts including candles, handbags and wedding accessories. About: Stephen Brown Building Services are local builders with many years experience with competitive prices. About: Supporting the local community since 1972 and still open for business. Available for weekly bookings or private hires at very competitive rates with various activities for all age groups. About: Stewarton Cabs, formally known as M & A Cabs is now under new management. We are small enough to care, large enough to cope. Offering an executive car, 8 seater minibus and female driver available on request. 7 days a week. All drivers have a PVG. About: Stewarton Car Sales are a new service from Fast-Fix offering great value for money and first class customer care. Their friendly staff will be happy to talk you through various warranty and finance packages. About: Stewarton Podiatry Practice are devoted to the study of diagnosis, medical and surgical treatment of disorders of the foot, ankle, and lower extremity specialising diagnosing and treating conditions affecting the foot, ankle and structures of the leg. About: Struthers Farmhouse is a restaurant in Dunlop offering an unique place to enjoy our traditional cuisines. About: We are Joiners in Ayrshire, undertaking all types of domestic and commercial joiner works. We also provide free estimates and advice. About: Susan Boyd HND, B.A.B.T.A.C. - Appointments only. Call between 9am-6pm six days a week. About: The Cobble Shop offers great value garden stones and pavers with free delivery across Ayrshire. About: Pop in to The Coffee Pot cafe and try our light lunches, snacks or home baking. Our menu includes all day breakfasts, salads, home made soup, toasties, baked potatoes, panini's and lots more. About: The Groom Room has been open since 1999. It is run by myself, Kirsten Cowling, with a great deal of help from my family. I got into dog grooming almost by accident. For years I clipped horses and gradually people started to ask me to run the horse clippers over their dogs. About: The King's Arms dates from the eighteenth century and was a busy staging post on the route south from Glasgow - offering extensive stabling and refreshment to travellers on their long journey to Ayr and beyond. About: The Stove Installer offers installations, servicing and maintenance of stove fires. About: For all your work wear requirements, visit your local supplier, The Working Wardrobe. We are specialists in work wear and embroidery offering affordable, quality clothing and accessories to all trades in and around Ayrshire. About: Thomas McKellar & Sons have been family run funeral directors since 1870. 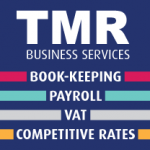 About: TMR Business Services offer book keeping payroll and Vat, with competitive rates. About: We strive for excellence and are professional in every aspect with the health and well being of your pet being our priority. We are based in Stewarton, Ayrshire although work the surrounding villages and towns also. About: At Vets4Pets believe that prevention is better than cure, which is why we have developed our new range of Complete Care health plans – designed to cover all the regular essentials such as vaccinations, worming and flea treatments, as well as 6-monthly check-ups with your vet. About: Village Balti House in the heart of Stewarton, offers a unique dining experience, with years of experience in traditional Eastern cooking, we deliver exceptional taste and quality to local residents and beyond. Our delicious food is cooked fresh on the premises and we cater for all tastes. About: W White and Company are a Chartered Accountants the delivers a wide range of services. Over the past 25 years we have been providing accountancy, management and tax services to businesses all over Scotland. About: W. Boyd Gas Services are specialists in gas repairs, breakdowns, servicing, installation, LPG repairs and landlords safety checks. About: Glass replacement, lock replacement, hinge fitting, Supply and fit new upvc windows and doors also offering a full range on composite doors with full range of colours. About: Wm. Allan & Son are Ayrshire's award winning family butcher. About: Whether you are looking for a modern wood burning stove or a more traditional design, you will find an ideal model at an exceptional price in the Country Kiln collection. This allows each customer to save money at purchase and on fuel bills whilst doing their part for the environment at the same time.